First of all pls excuse me for making this thread too early but i will be using this thread for getting pre-trip suggestions, places info and other route help from experts. We have already covered most of the northern Punjab, Central Punjab and western Punjab, we have also visited Derawar fort but didn't covered Palaces in Bahawalpur. So our focus will be mainly some areas of interior Sindh while going to and coming back from Khi and off course all points on makran coastal highway upto Iranian border. One of my friend will join us from Khi and may be my cousin will land in Khi from Dubai to join us towards Gwadar. I am considering hat Gwadar return trip will take approx 3 days (I will need your suggestions for this). Day 1 - A day before we will reach Lahore for some family event and then next day start early from Lahore and reach Pannu Aqil and stay there, I know its a long way but we have to be there as it will be first day of traveling so we can do little extra, as a backup plan we have to do overnight stay in Rahim yar khan. Day 2 - Start traveling towards Rohri and Sukkur and cover following places: Sukkur Barrage, Lansdowne bridge, Lab e Mehran, then drive towards Larkana and visit Garhi Khuda Baksh. Visit Mohenjodaro if time permits and night stay somewhere between Larkana, Dadu or Shewan according to situation. Day 3 - Visit Sehwan and Manchar jheel, Ranikot fort, on the way and reach Khi via Hyderabad and night stay there. Day 4 - Stay one Day in Khi to look around different areas like Mazar-e-Quaid, Manora, Mangho Pir crocodile pond etc, pls advise more places to visit in Khi? Day 5 - Leave Khi early morning towards Gwadar and few stops at Gadani ship breaking yard, mud volcanoes, Kund malir beach, Princess of Hopes, Sphinix and night stay at Ormara. 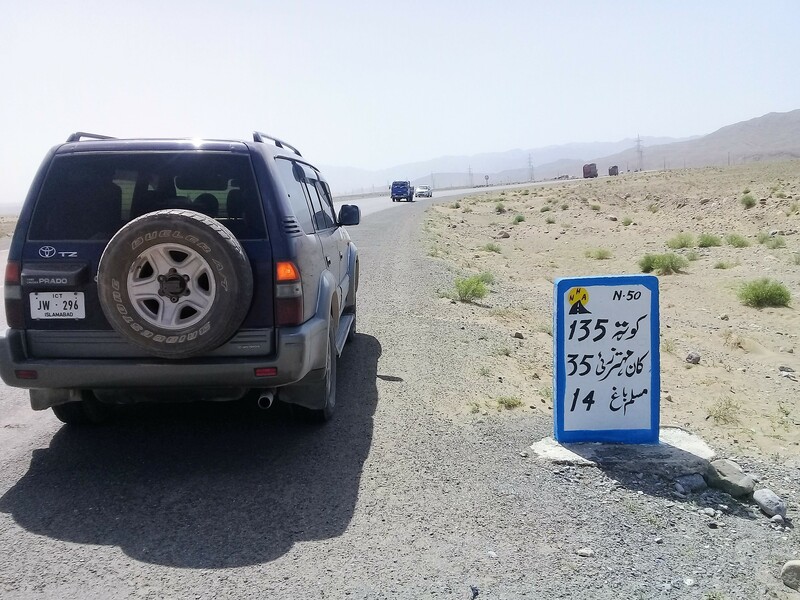 Day 6 - Travel from Ormara to Iran border, while coming back cover Jiwani and reach Gwadar for sunset view from Koh-e-Batil and night stay at Gwadar. Day 8 - Leave Khi towards Thatta and cover Makkli, Haleji and Keenjhar lake Grave of noori, and reach Hyderabad, mirpur khas or umerkot according to next day plan. I need your suggestions here - can we do this in a day? and where most imp where should we stay at night for next day? Day 9 OPTIONAL Can we go upto Khokhrapar zeropoint and come back and possible explore umerkot and some thar areas and stay at mirpur khas may be? i will welcome your comments and suggestions about the above plan and i will work on next days will post here for suggestions. You plan is good, see if you can add Gorakh Hill and Ranikot Fort. At Gorakh its bit tough but many take their cars at the top. Ranikot Fort, its on ground level so all cars can go. Kirthar National Park, you need a 4x4 for it. I couldn't find time to read your full program. I did a road trip in February 2016 from Islamabad to Karachi and back and plan for Gwadar in coming winter. I shall share with you what I know. But sorry, not now, sometimes in future. At this point, I can only say that your program is feasible. In my view Corolla GLI -2016 has reasonable ground clearance for this trip. I suggest you take different route while traveling through interior Sindh, first while going and the other while coming, like I did. On one side, use National Highway instead of Super Highway and you can cover a. Kot Diji Fort and nearby 6000 old ruins near Khairpur, b, Keenjhar Lake, c.Thatha and Shah Jahani Mosque, d. Makli Graveyard, e. Deebal/Bhanbhore ruins near Gharo creek; while on other side you can take Dadu-Larkana road and cover a. Manchar Lake (disappointing), b. Lal Shabaz at Sehwan, c. Mohenjo-Daro, d. Garhi Khuda Bux. Except for big cities like Sukkar, Khairpur, Nawab Shah, there is no reasonable place for night stay in interior Sindh. Day 1 - A day before we will reach Lahore for some family event and then next day start early from Lahore and reach Bahawalpur by mid day and cover Gulzar palace, Darbar palace and noor mahal. Reach Sadiqabad for night stay. Day 2 - Explore Rohri Sukkur area: Sukkur Barrage, Lansdowne bridge, Lab e Mehran, then drive towards Larkana and visit Garhi Khuda Baksh. Visit Mohenjodaro if time permits and night stay somewhere between Larkana and Dadu according to situation. Day 3 - Visit Sehwan and Manchar jheel on the way and reach Khi and night stay there. Day 4 - Khi to Kund malir beach and few stops at Gadani ship breaking yard, mud volcanoes and night stay there. thanks for suggestion, it will be very hectic to drive but as we have to stop in Bahawalpur and have to visit different places on way to Gwadar so using bus cant achieve what we want to do. thank you very much for the best and helpful answer so far. yes i am thinking the same to go via N55 and come via N5 or otherway around, this is the beauty of this platform that you get expert advice at no cost and benefit from the real on ground situation and from the people who have already traveled. i don't wanna miss Mohenjdaro and there are lot more things which i might not be aware but or worth watching. so you suggested to add Kot diji, Keenjhar Lake, Thatha and Shah Jahani Mosque, Makli Graveyard, Deebal/Bhanbhore ruins. thanks for that i will add them to the way either going or coming back whenever traveling on N5. I also want to visit Noor jam tamchi grave, can i adjust it with some other place in that area? Also my frnd suggested me to go to Astola island and do a night stay there, what do you guys think? Reading it might help you in making necessary preparations for such a long road-trip. Thanks for giving critical but honest comments, i will talk with my host there. What do you think, should we try camping on kund malir beech or anywhere on coastal highway between khi and Gawdar or we should drop this idea at all? worth reading your blog. the preparation was excellent specially the items list and the hand made map - thumbs up. ok thanks for bringing this point into my knowledge, this will really help us and i will take water with us.